Nonfarm payroll employment continued to decline in September (-263,000), and the unemployment rate (9.8 percent) continued to trend up, the U.S. Bureau of Labor Statistics reported today. The largest job losses were in construction,manufacturing, retail trade, and government. Since the start of the recession in December 2007, the number of unemployed persons has increased by 7.6 million to 15.1 million and the unemployment rate has doubled to 9.8 percent. Hispanics (12.7 percent)--showed little change in September. The unemployment rate for Asians was 7.4 percent, not season-ally adjusted. The rates for all major worker groups are much higher than at the start of the recession. Among the unemployed, the number of job losers and persons who completed temporary jobs rose by 603,000 to 10.4 million in September. The number of long-term unemployed (those jobless for 27 weeks and over) rose by 450,000 to 5.4 million. In September, 35.6 percent of unemployed persons were job-less for 27 weeks or more. The civilian labor force participation rate declined by 0.3 percentage points in September to 65.2 percent. The employment-population ratio, at 58.8 per-cent, also declined over the month and has decreased by 3.9 percentage points since the recession began in December 2007. In September, the number of persons working part time for economic reasons (sometimes referred to as involuntary part-time workers) was little changed at 9.2 million. The number of such workers rose sharply throughout most of the fall and winter but has been little changed since March. About 2.2 million persons were marginally attached to the labor force in September, an increase of 615,000 from a year earlier. (The data are not seasonally adjusted.) These individuals were not in the labor force, wanted and were available for work, and had looked for a job sometime in the prior 12months. They were not counted as unemployed because they had not searched forwork in the 4 weeks preceding the survey. Among the marginally attached, there were 706,000 discouraged workers in September, up by 239,000 from a year earlier. 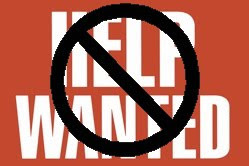 Discouraged workers are persons not currently looking for work because they believe no jobs are available for them. The other 1.5 million persons marginally attached to the labor force in September had not searched for work in the 4 weeks preceding the survey for reasons such as school attendance or family responsibilities. Total nonfarm payroll employment declined by 263,000 in September. From May through September, job losses averaged 307,000 per month, compared with losses averaging 645,000 per month from November 2008 to April. Since the start of the recession in December 2007, payroll employment has fallen by 7.2 million. In September, construction employment declined by 64,000. Monthly job losses averaged 66,000 from May through September, compared with an average of117,000 per month from November to April. September job cuts were concentrated in the industry's nonresidential components (-39,000) and in heavy construction (-12,000). Since December 2007, employment in construction has fallen by 1.5 million. Employment in manufacturing fell by 51,000 in September. Over the past 3 months, job losses have averaged 53,000 per month, compared with an average monthly loss of 161,000 from October to June. Employment in manufacturing has contracted by 2.1 million since the onset of the recession. In the service-providing sector, the number of jobs in retail trade fell by 39,000 in September. From April through September, retail employment has fallen by an average of 29,000 per month, compared with an average monthly loss of 68,000 for the prior 6-month period. Government employment was down by 53,000 in September, with the largest decline occurring in the non-education component of local government (-24,000). Employment in health care continued to increase in September (19,000), with the largest gain occurring in ambulatory health care services (15,000).Health care has added 559,000 jobs since the beginning of the recession, although the average monthly job gain thus far in 2009 (22,000) is down from the average monthly gain during 2008 (30,000). Employment in transportation and warehousing continued to trend down in September. The number of jobs in financial activities, professional and business services, leisure and hospitality, and information showed little or no change over the month. In September, the average work week for production and nonsupervisory workers on private nonfarm payrolls edged down by 0.1 hour to 33.0 hours. Both the manufacturing work week and factory overtime decreased by 0.1 hour over the month, to 39.8 and 2.8 hours, respectively. In September, average hourly earnings of production and nonsupervisory workers on private nonfarm payrolls edged up by 1 cent, or 0.1 percent, to $18.67. Over the past 12 months, average hourly earnings have risen by 2.5 percent, while average weekly earnings have risen by only 0.7 percent due to declines in the average workweek. The change in total nonfarm payroll employment for July was revised from-276,000 to -304,000, and the change for August was revised from -216,000to -201,000. The Employment Situation for October is scheduled to be released on Friday, November 6, 2009, at 8:30 a.m. (EST).